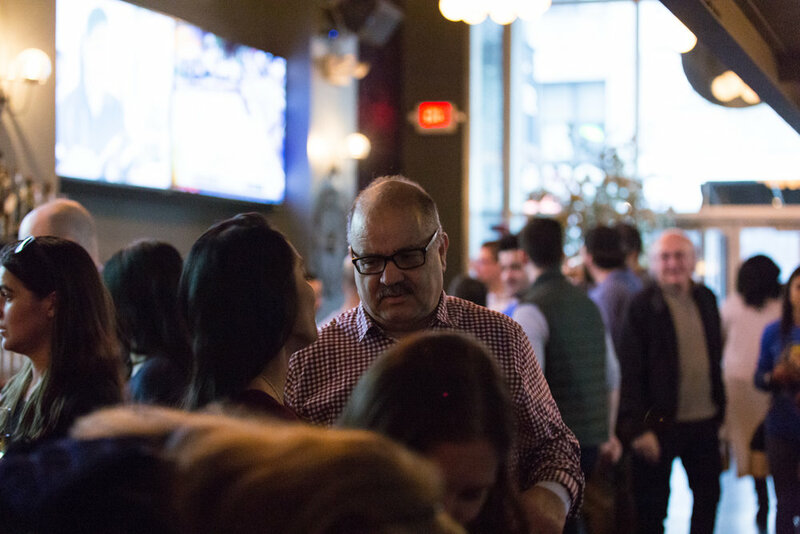 Thanks to everyone who joined us for mingling, a silent auction, raffle prizes, tours of Manhattan's only distillery, and vodka tastings on Saturday, March 9th, 2019 at 2pm at Our/New York in Manhattan. Your support means the world to those we support together! 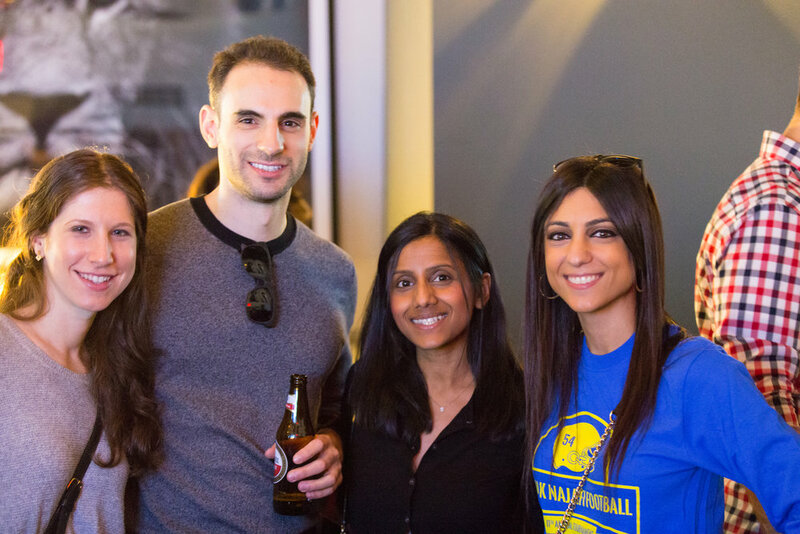 Thanks to your attendance and generous support from near and far, BNMSF raised over $5,000.00 at the 2019 NYC Social. Your support helps provide critical assistance to young men and women who excel in athletics and academics. We are proud to, in Babak's memory, ensure scholarship recipients are off to a great start at college and in their next step towards continued success. 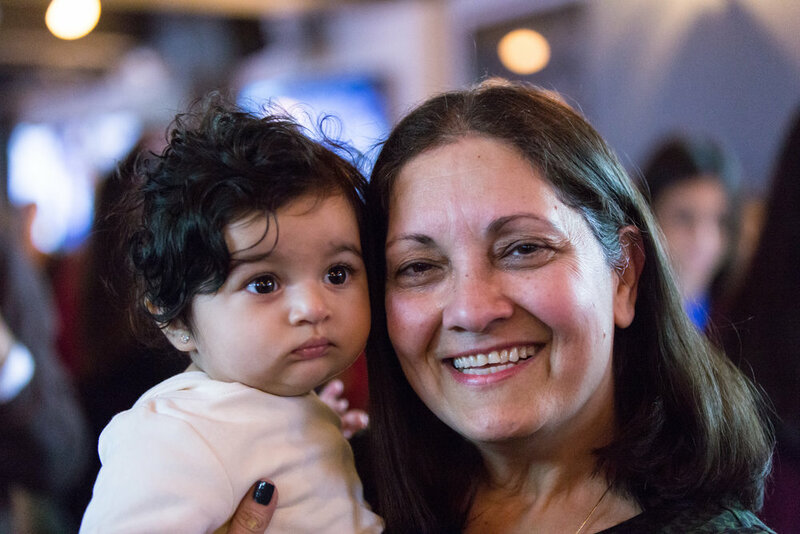 As always, the Babak Najafi MSF family and past recipients cannot thank you enough for your continued support. If you weren’t able to attend, you can still support here. Hope to see you at our next event! 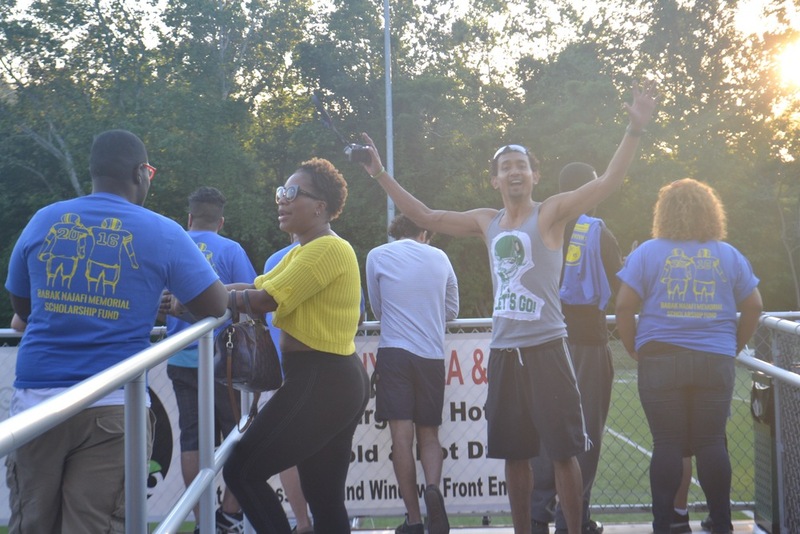 Thank you to those who attended and supported the 13th Annual Football Tournament! 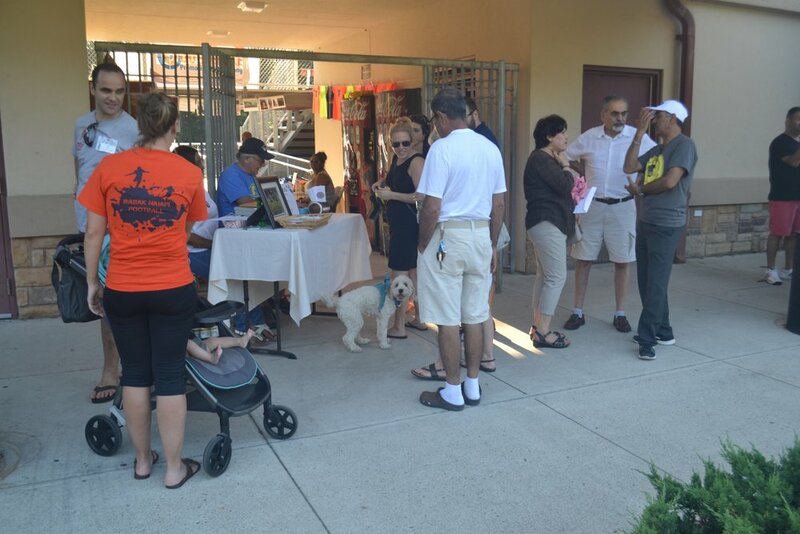 We had had a great turnout, competitive games, awesome DJ, new merchandise, and the 50/50 raffle. Congrats to the BNMSF Scholarship Recipient Joland Louissaint and to the tournament champs at Spring Valley High School! 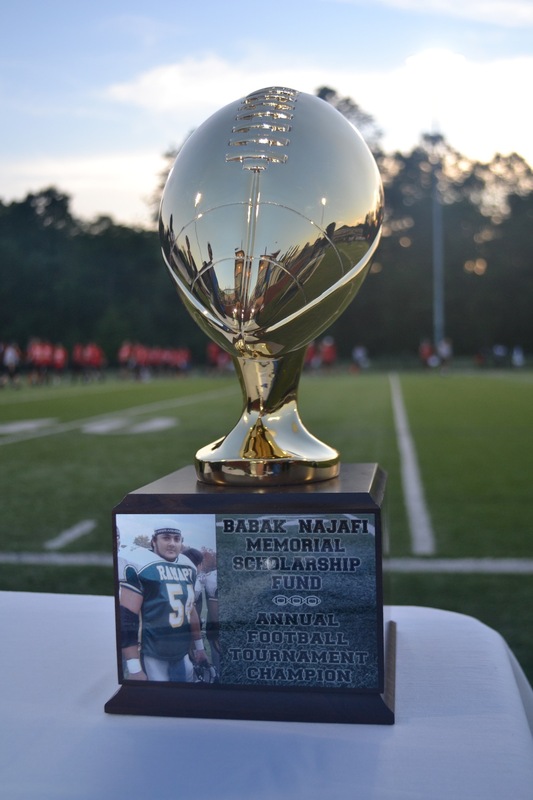 Cheer on Ramapo, Suffern, Spring Valley, Nyack, and Clarkston North High Schools as they compete for the championship title at the 2018 Babak Najafi Memorial Scholarship Fund (BNMSF) Annual Football Tournament. 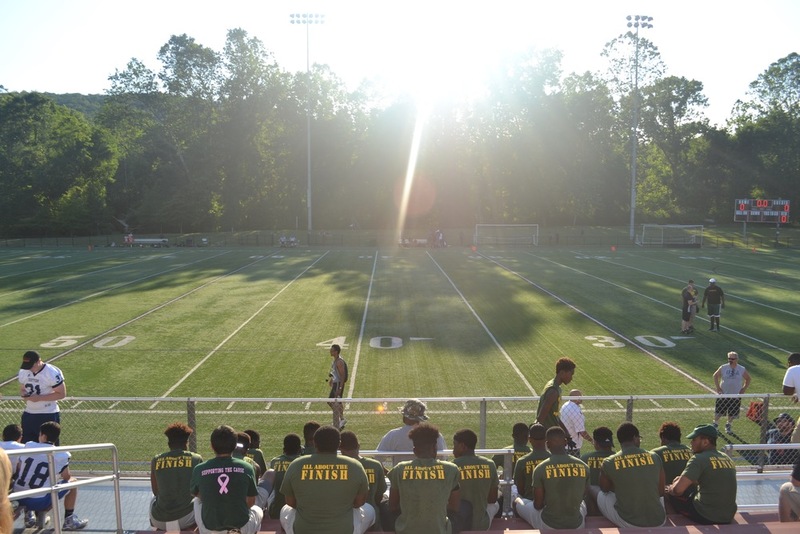 Enjoy the 7 on 7 football games, an awesome DJ, new merchandise, concessions for sale, & more. 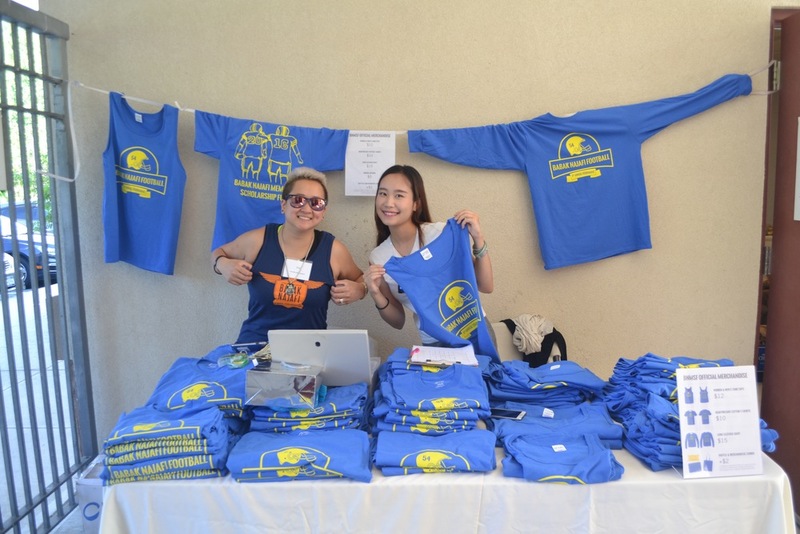 All entrance fees, donations, apparel sale proceeds, and a portion of food sale proceeds will support BNMSF, proudly awarding scholarships to students who excel academically and athletically to continue their education since 2006. 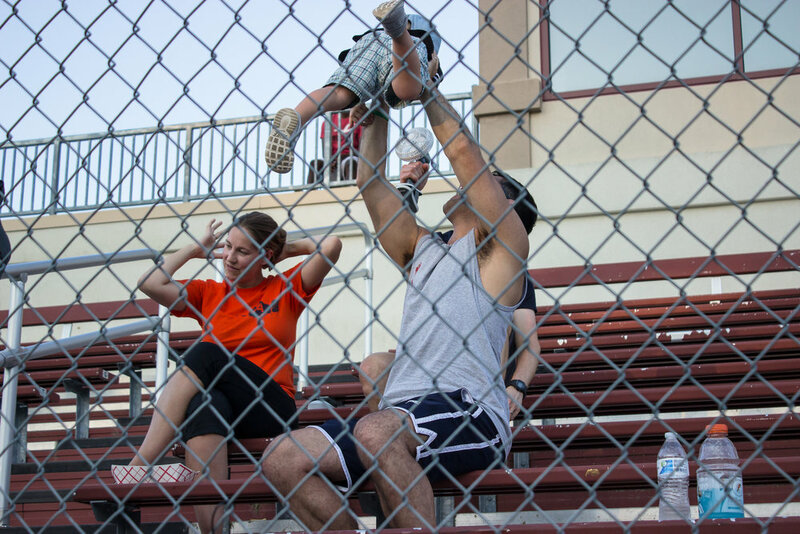 The Babak Najafi Alumni Flag Football Game made a comeback this year! The alumni game is how we started, and we want to keep that legacy alive in honor of Bob. It is important we maintain traditions that we started with like the pre-game chant and pre-game huddle as well as the post-game breaking of bread together. There was a lot of energy that we are certain will stick around as we continue to reunite year after year for future alumni games. We are grateful for everyone who made the alumni game revival possible and came to participate. We look forward to growing participating and spectator-ship in the years to come! Please join and check the Facebook group for updates, to participate, and to join in the fun. Let's support the community and move scholar athletes forward together! Alumni game is BACK! 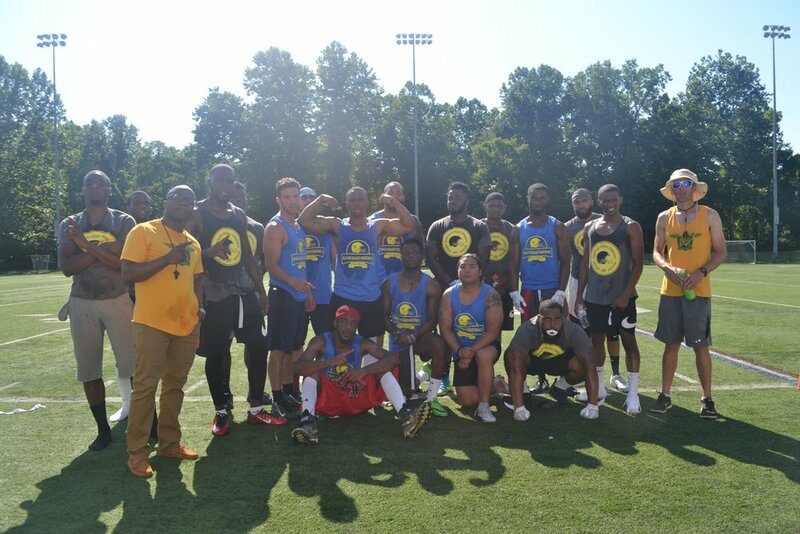 Saturday 1:30pm at Torne Valley 🕑 Babak Najafi Memorial Scholarship Fund, Inc. is welcoming back alumni for a flag football game 🏈 Hit up Maxito Sainvil or Chevon Rutty to get a confirmation 📲. The alumni game is how we started and we want to keep that legacy alive in honor of bob #BNMSF ❤️ Bring a friend, let’s make it a reunion, and stick around to cheer on the high schools afterwards! 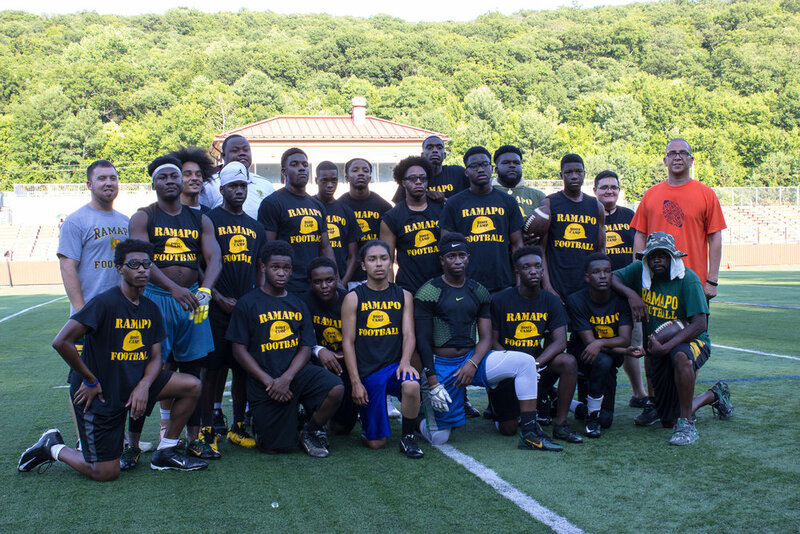 📣 The 7-on-7 tournament between Ramapo, Spring Valley, Suffern, and Clarkstown North starts at 6pm 🏈 Let’s support scholar athletes together! 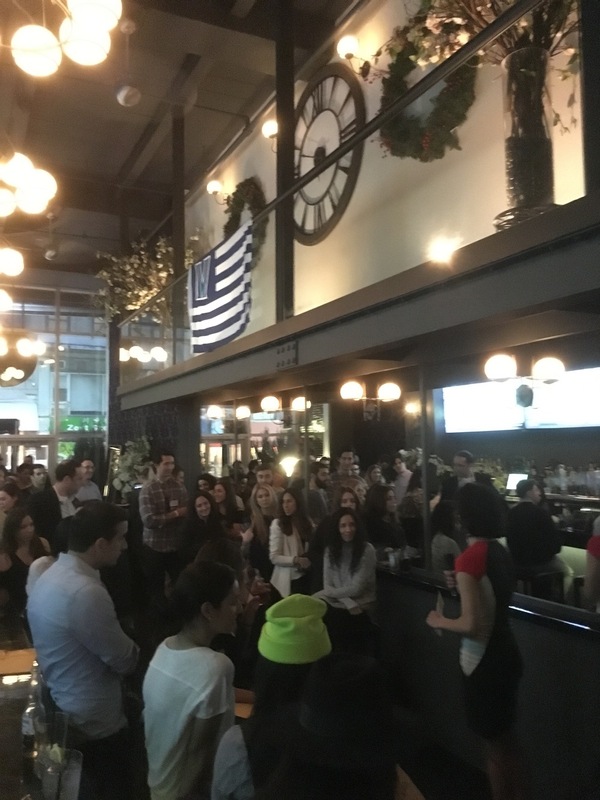 Thank you on behalf of the BNMSF team to everyone who attended and supported the BNMSF 2018 NYC Social Fundraiser, thank you to donors of silent auction items, and thanks to our hosting venue. The turnout was great, the competitive silent auction was a success, and the 50/50 raffle was a win-win for the scholarship fund and winner! Overall, the event raised over $4,000 for scholarship fund. Thank you for sharing our passion for supporting the continued education of scholar athletes in Babak’s memory. 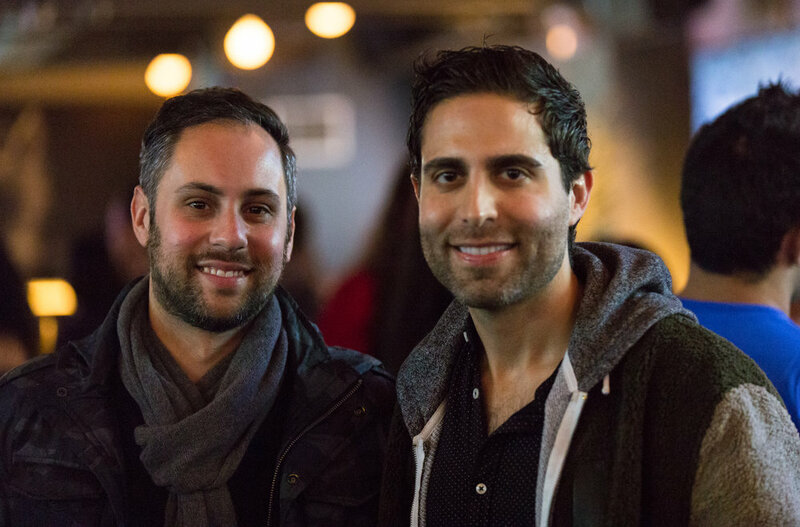 · Individuals who donated gift cards to Ohm Spa, Spiff for Men, and Airbnb. Thanks and congrats to the highest and winning bidders and attendees who generously supported - we hope you enjoyed yourselves! Also, thank you to those who could not attend but still generously supported. We look forward to seeing you all next time! 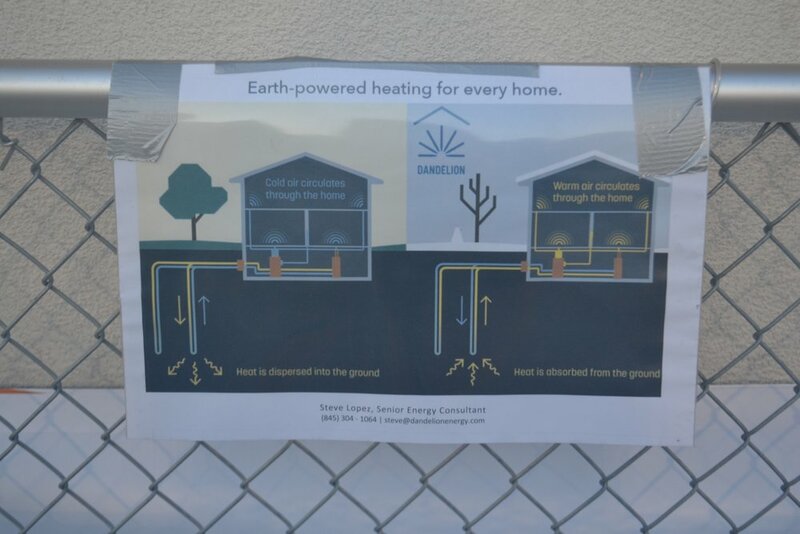 If you couldn't attend but still want to help out, please learn about ways to support here. The Babak Najafi Memorial Scholarship Fund has supported the continued education of student athletes dedicated to academic excellence and athletic success for more than a dozen years. The program was launched in 2005 in memory of Babak Najafi and, since its founding, has provided scholarships for 16 students. All donations are given to deserving individuals as financial awards to be used at an institution of higher learning. 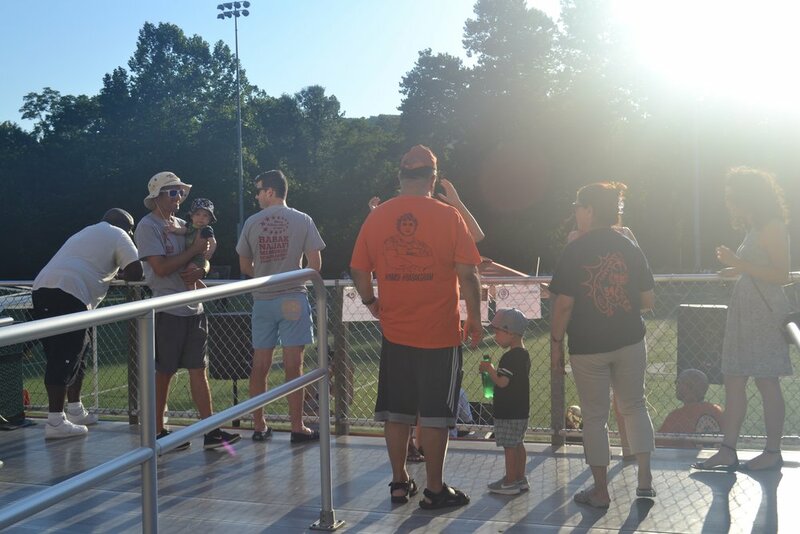 Additionally, BNMSF supports local sports programs by providing assistance in the form of monetary donations and/or continuing education and healthy living advocacy. 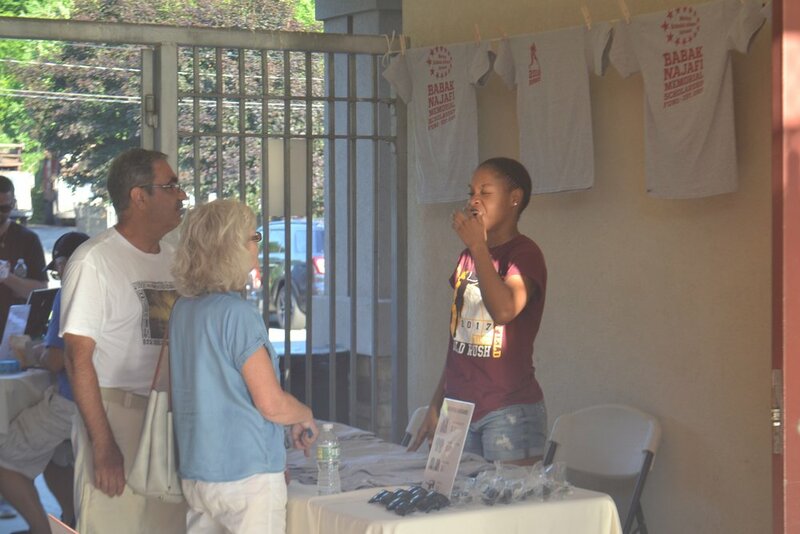 Your support of this organization and its worthy cause is much appreciated. Come join us for our 12th Annual Football Tournament Fundraiser at Torne Valley Sports Complex! 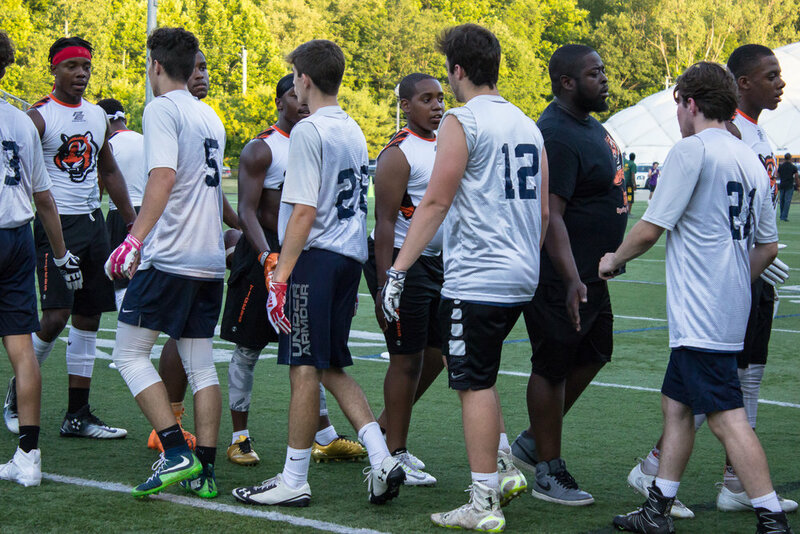 We're excited to have teams from Ramapo, Suffern, and Manchester Regional High Schools participating in a flag football 7-on-7 tournament this year. As always, we'll have an awesome tournament, new apparel, food for sale by Big Al's Skinny Pizza, and more. All entrance fees, donations, apparel sale proceeds, and a portion of food sale proceeds will go support the Babak Najafi Memorial Scholarship Fund. Since 2006, BNMSF has been proudly awarding scholarships to students who excel academically and athletically to continue their education. If you are not able to attend and would still like to support the scholarship fund, your donations are welcome. Thanks for joining us in this exciting and successful fundraising event! 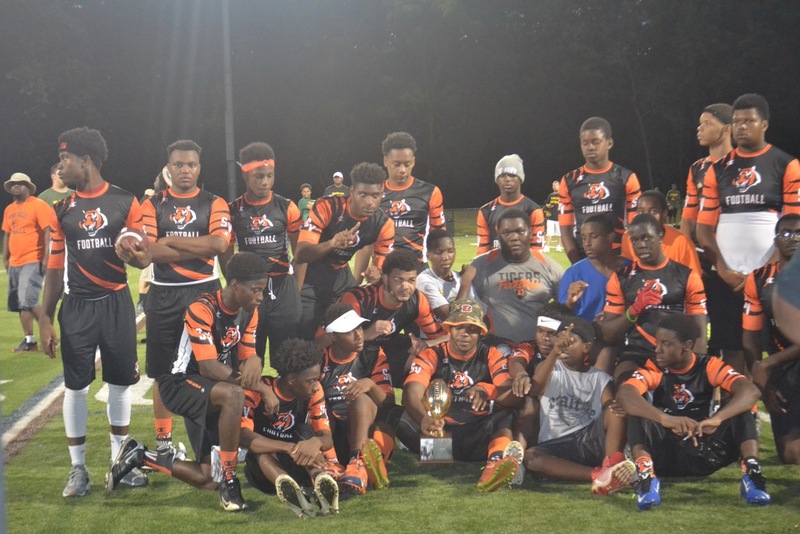 Awesome job to the Spring Valley Tigers on their epic win. Congrats to Ellen Sue Cola for being this year's BNMSF scholarship recipient! We can't wait to see her continued success at Brown University. 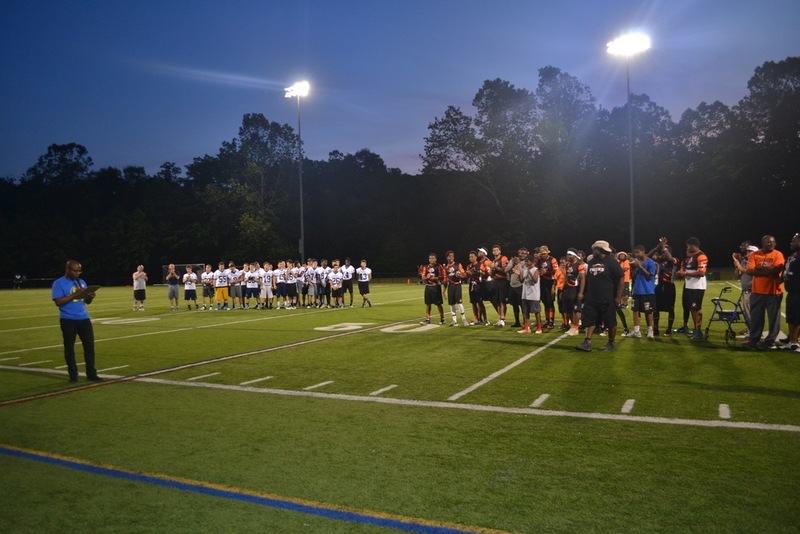 We had an amazing turnout and it was one of our most successful events thanks to the participating High Schools from Ramapo, Spring Valley, Suffern, Manchester Regional, the great turnout of supporting fans, and the generosity of our sponsors from Big Al's Skinny Pizza and Sports Care Physical Therapy. 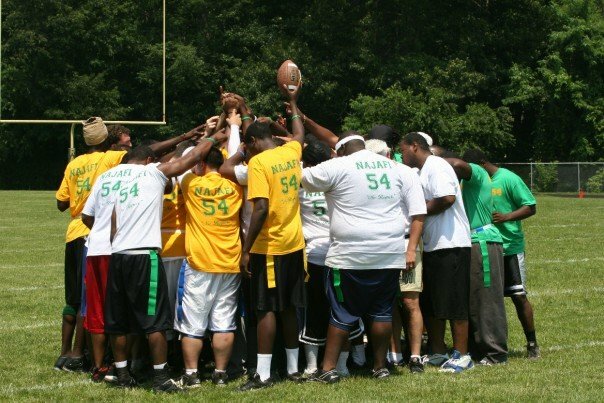 Join us for the 11th Annual Football Tournament at Torne Valley Sports Complex! 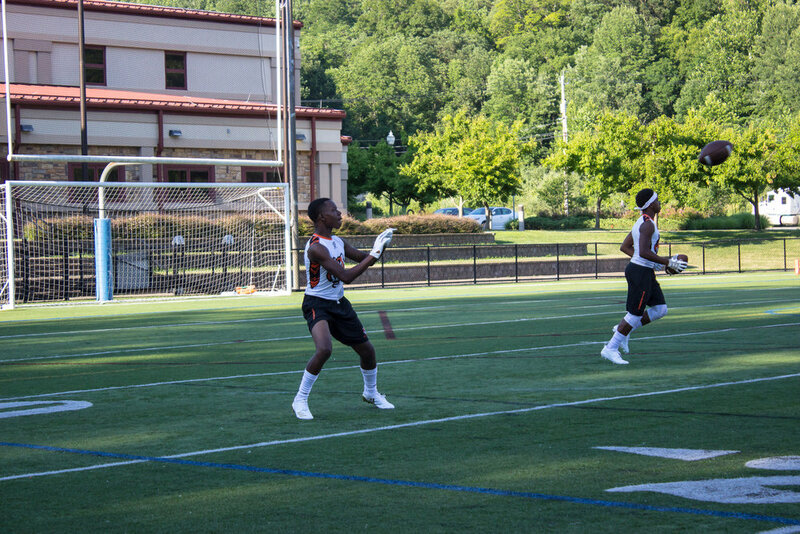 We're excited to roll out a new format with teams participating in a 7 on 7 from Ramapo, Spring Valley, Suffern, and Manchester Regional High Schools this year. As always, we'll have a DJ, awesome games, new merchandise, and food for sale by Big Al's Skinny Pizza, & more. Besides the new game format, we have another exciting update! Students from more than just Ramapo HS will be eligible to apply for the additionally awarded scholarship! 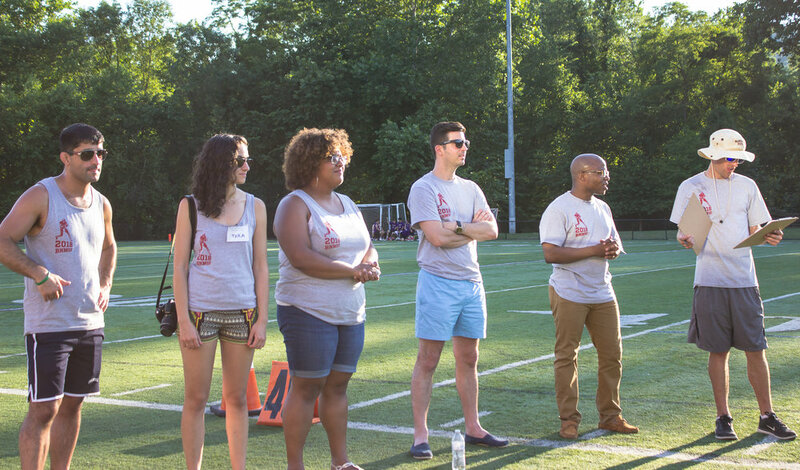 The winning team will be able to sponsor applicants for a scholarship to be awarded next June. 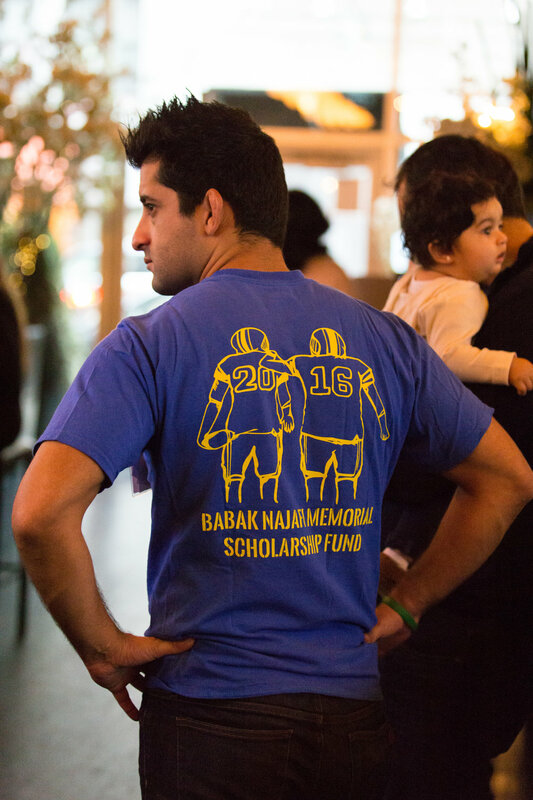 All entrance fees, donations, apparel sale proceeds, and a portion of food sale proceeds will support the Babak Najafi Memorial Scholarship Fund, proudly awarding graduating seniors who excel academically and athletically and continue their education for over a decade. Thank you to the attendees of the 2016 NYC Social Fundraiser, donors of the silent auction items, and the hosting venue. Proper West, a chic and large venue, was a lovely and accommodating space for our organization's event. Most importantly, there was a great turnout of both familiar and new faces. There was an impressive, competitive, and successful silent auction. Finally, there was an exciting 50/50 raffle that was lucrative for more than just the scholarship fund! Thank you and congratulations to the highest and winning bidders! Samantha Farulla, Joseph Suh, Neha Jindal, Vanessa de Leon, Kate Hampton, Priya Patel, Tara Hosseinipour, Nicole Hosseinipour, Anahita Fallahi, and Rony Ma. Thank you again to our attendees who generously supported our organization - we hope you enjoyed yourselves! Additionally, thank you to those who could not attend but still generously supported. 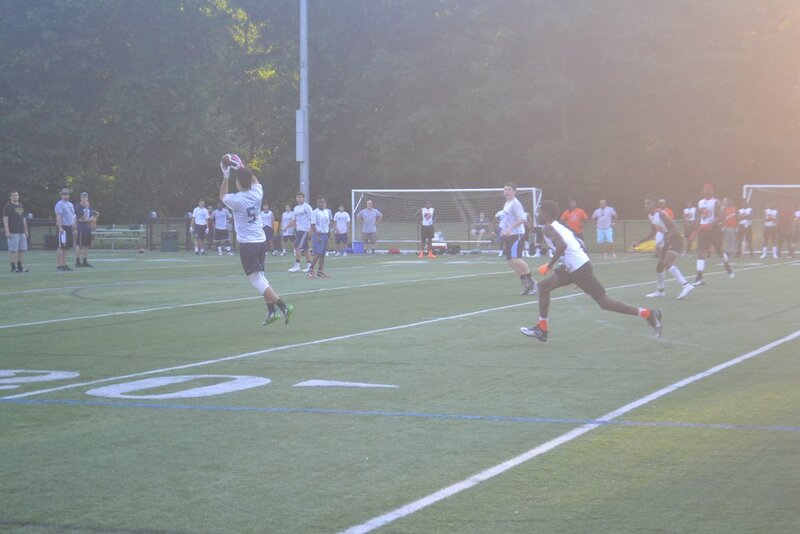 Turn out was amazing at the 10th Flag Football Tournament! The rain couldn't stop us. 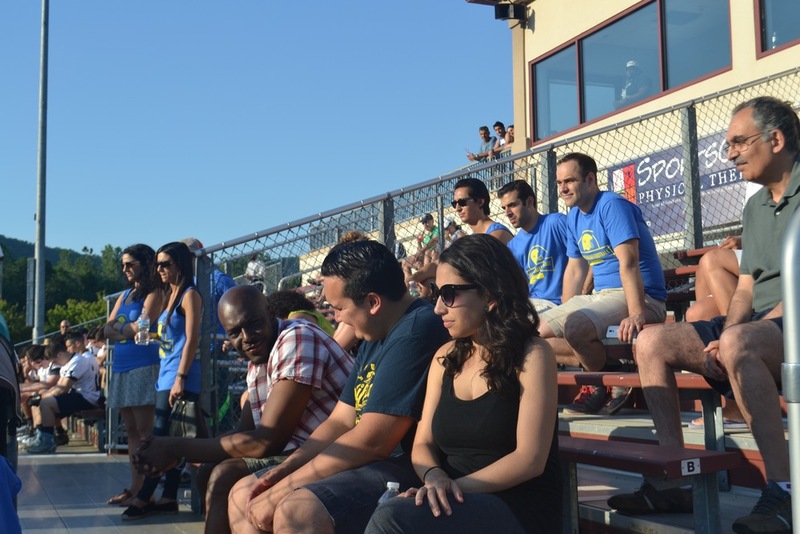 For the ninth year, the Babak Najafi Scholarship Flag Football Fundraiser was held at the Torne Valley Sports Complex. 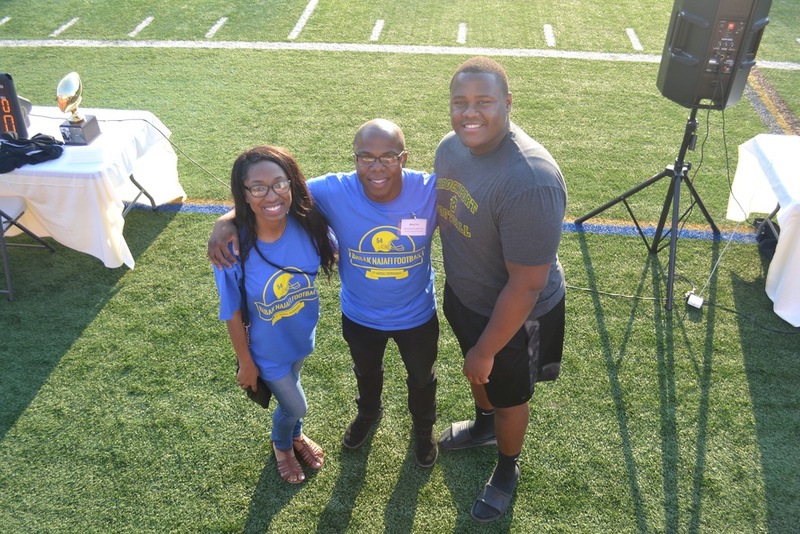 In the past eight years, scholarships have amounted to over $10,000. Ten deserving graduates have gone on to succeed in various fields of study. Funds have also been donated to the Ramapo Football Team and East Ramapo Wrestling Team in Babak’s memory. Congratulations Kaylyn Gordon! Excited to have yet another exceptional recipient join the Babak Najafi Memorial Scholarship roster and winners! Good luck! Thank you everyone for another successful event! We hope everyone had a good time–the love and Bob’s spirit was definitely felt. 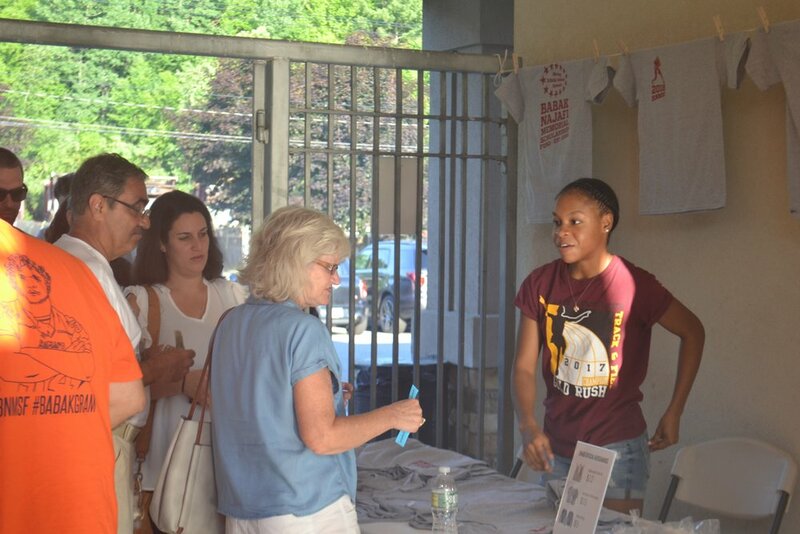 The new location at Torne Valley Sports Complex, original merchandise, visitor and player turnout were incredible. 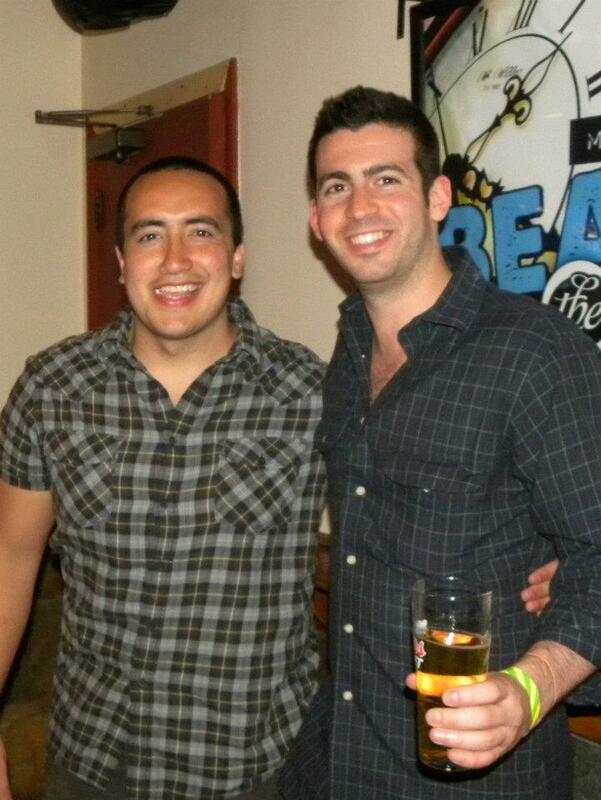 Since we fundraise one year in advance, our event last night set us up financially for the 2014 scholarship recipient! We are confident the successful fundraising, which was a result of a solid turnout and even exceeded recent years, will help our now officially NYS Non-Profit Organization grow to have an even broader reach and greater impact, all in Bob’s name and remembrance. Congrats again to Jason Senat and all previous scholarship recipients! 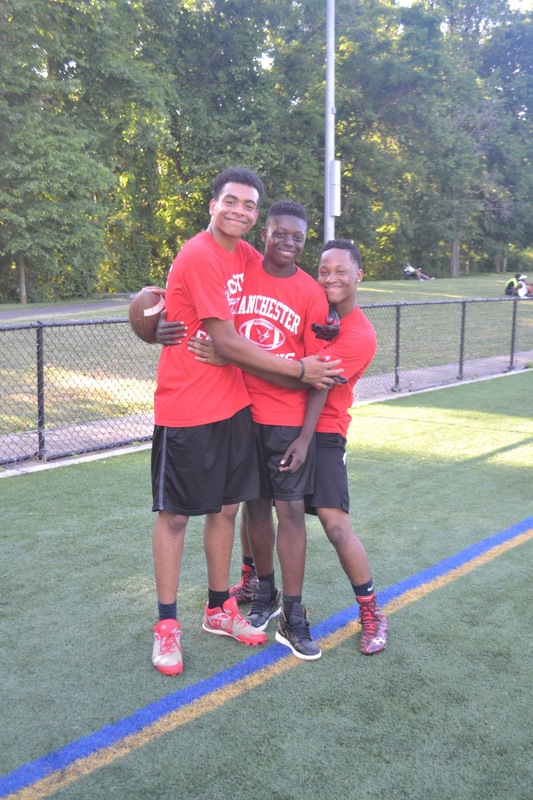 For the seventh year, the Babak Najafi Scholarship Flag Football Fundraiser was held at the Ramapo High School Football Field. In the past six years, these scholarships have amounted to over $8,000. Eight deserving graduates have gone on to succeed in various fields of study. Funds have also been donated to the Ramapo Football Team and East Ramapo Wrestling Team in Babak’s memory. East Ramapo School District’s graduation rates have increased two percent since 2009. 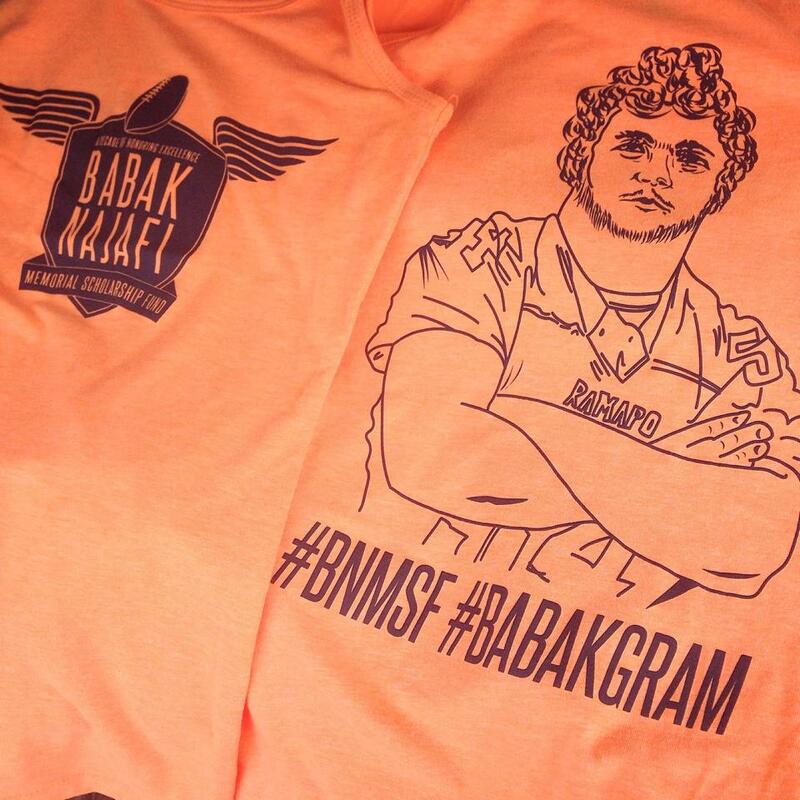 Please help us support student athletes in Babak’s name. Scholarship recipients are dedicated to athletic excellence and academic success. This year’s scholarship recipient was Jahmoul Gordon. He is attending Monroe College. Congrats! 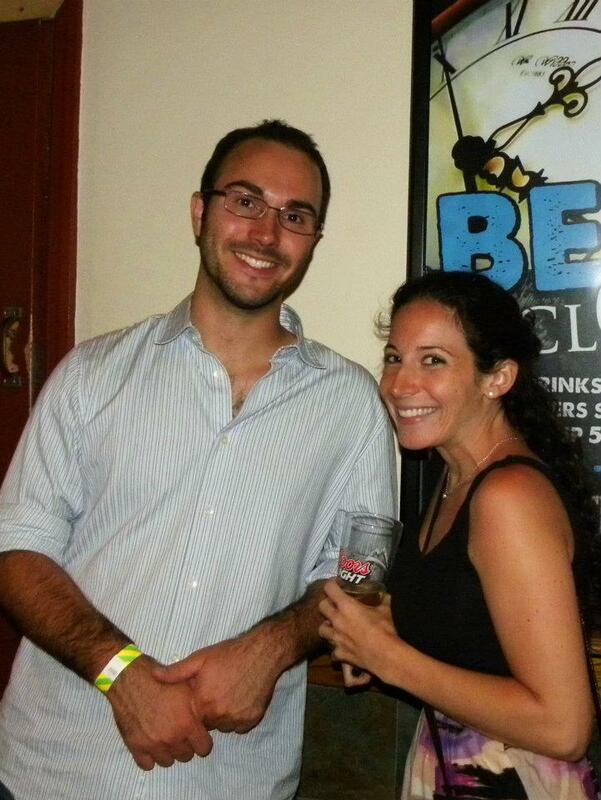 Thanks to everyone who supported the Turtle Bay Social Fundraiser and made it a success. All proceeds from wristbands will go to the scholarship fund. Thanks to our sponsors who donated great raffle prizes! 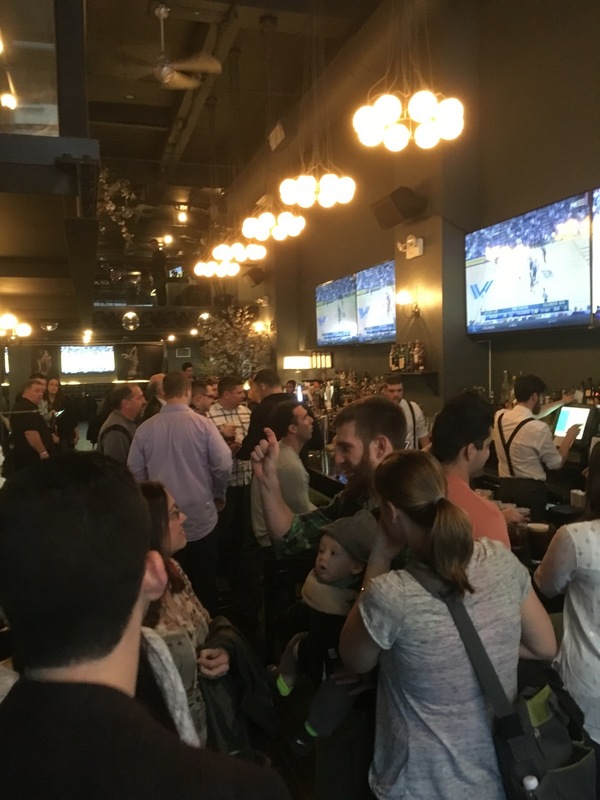 Donors and partners for the NYC Social Fundraiser include: Turtle Bay Tavern, Be Fit 365, Phoenyc Fitness, EL Jewelry, Beacon Restaurant & Bar, Cityhouse in the Park Central Hotel, Supercuts New City. All proceeds went to the scholarship fund. Thanks for joining us to remember a friend and celebrate a life for the sixth year in a row. Players battled it out on the field and everyone got together to celebrate the life of Babak. 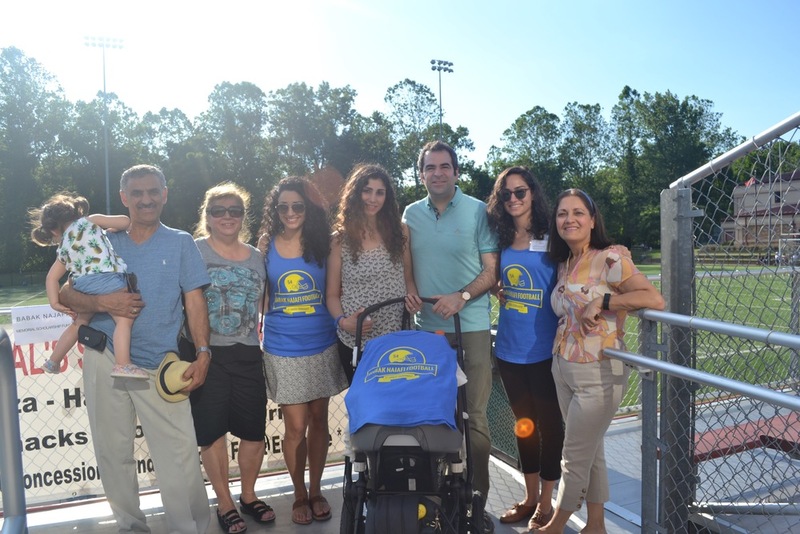 We also raised money for the Babak Najafi Memorial Scholarship, which is awarded to a graduating senior at Ramapo HS who exemplifies many of the traits that Babak did. Always going strong! Congrats to this year’s scholarship recipient-James Georges (Western New England University, BS Biomedical Engineering Candidate 2015)! 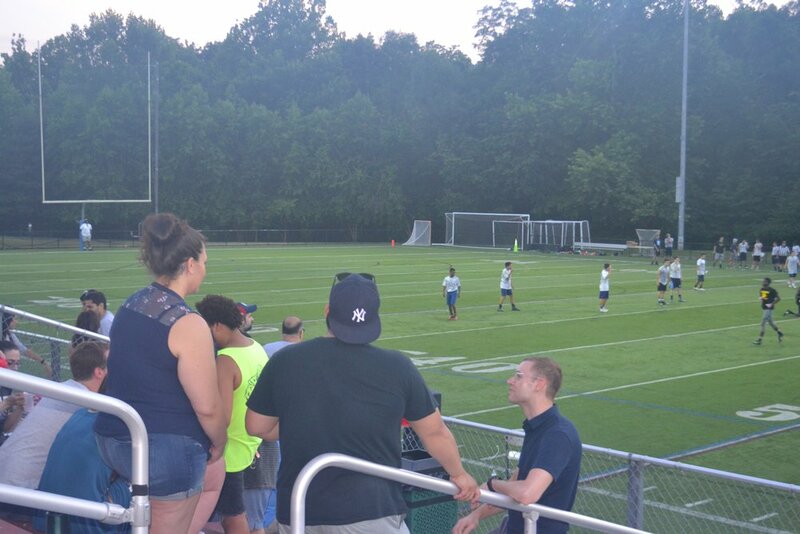 As all of you know, every year in early summer, legends of Ramapo Football and friends and family of Babak battle it out on the field for football supremacy. Everyone gets together to remember and celebrate the life of Babak. 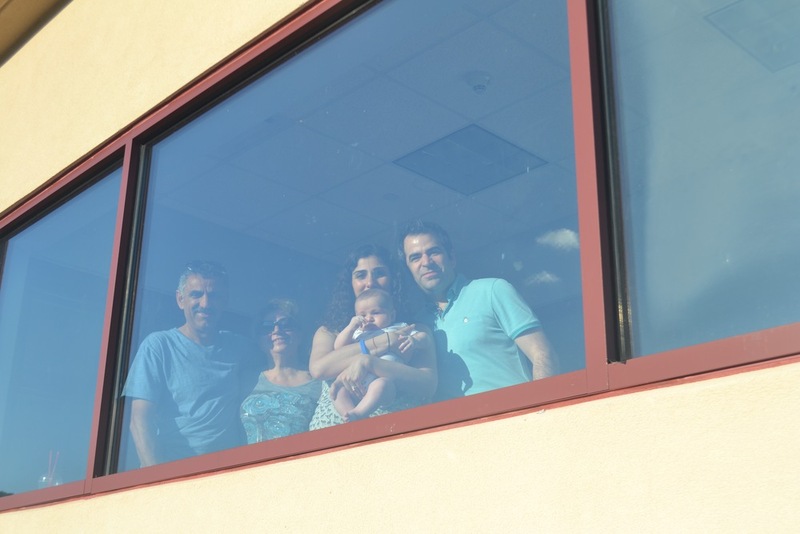 We also raise money for the Memorial Babak Najafi Scholarship, awarded annually to a graduating senior at Ramapo High School who exemplifies many of Babak’s traits. 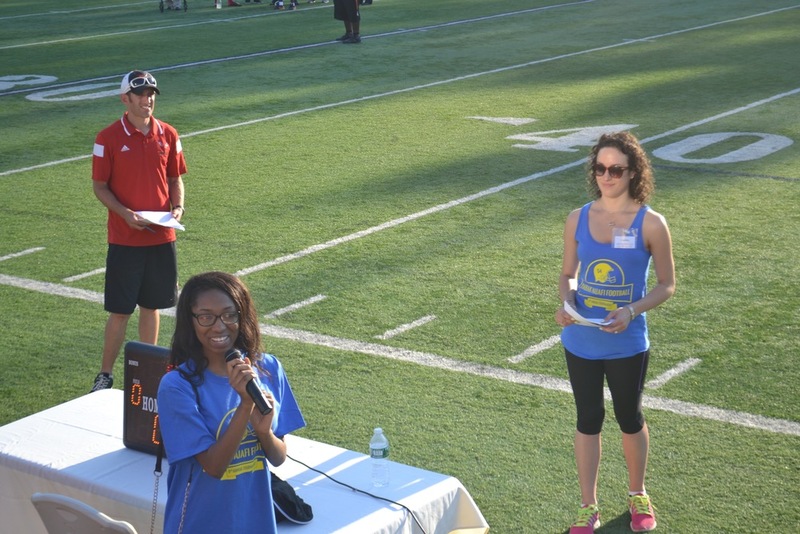 This year’s scholarship went to Maggie Joseph (Manhattan College, BS Computer Science Candidate 2014)! This year’s Memorial Babak Najafi Scholarship recipients are brothers Chidi Ezemma and Dozie Ezemma (University at Albany BA Rhetoric and Communications Class of 2013, and West Virginia University BS Engineering Class of 2013, respectively). 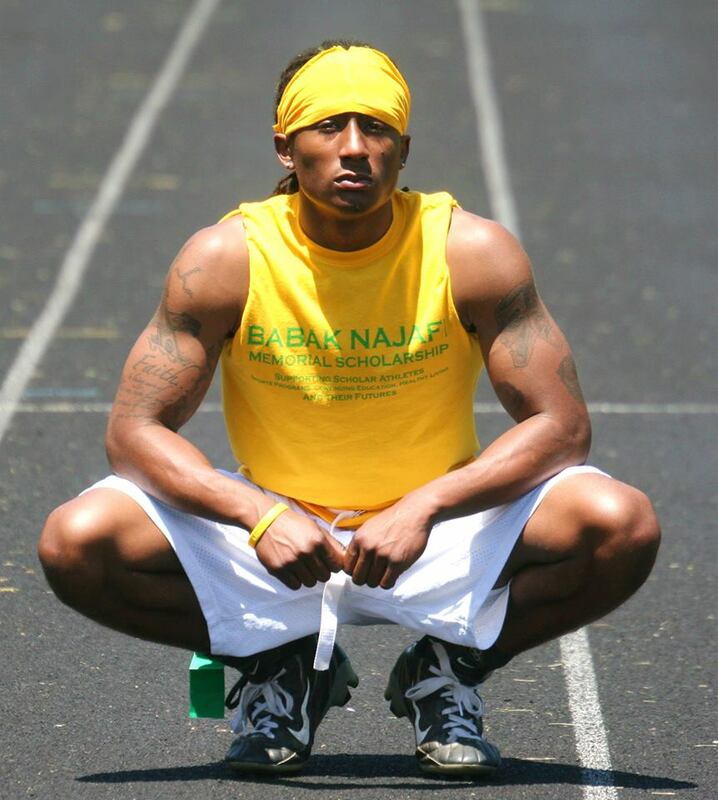 We are all looking forward to celebrating the amazing life of Babak Najafi at the third flag football game! 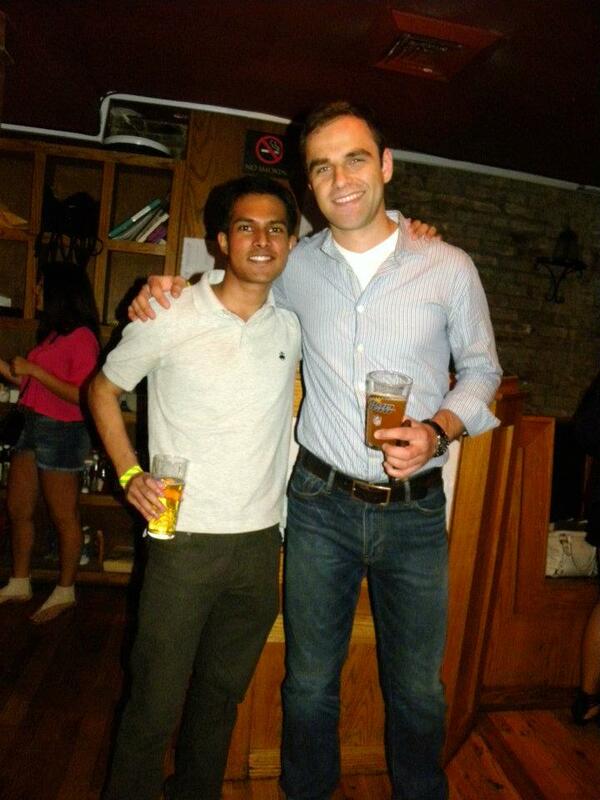 Each year we’ve helped raise money for students who share Babak’s traits. This year’s Memorial Babak Najafi Scholarship recipient is Demian Scott (Utica College, BS Occupational Therapy Candidate 2012, MS same 2013). 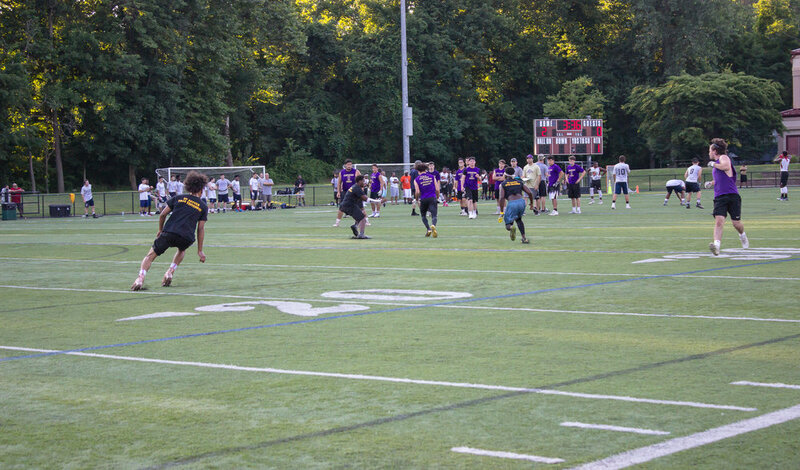 The second annual Babak Najafi Flag Football Game was held to bring family, friends, and Ramapo players together to commemorate the life of Babak Najafi. 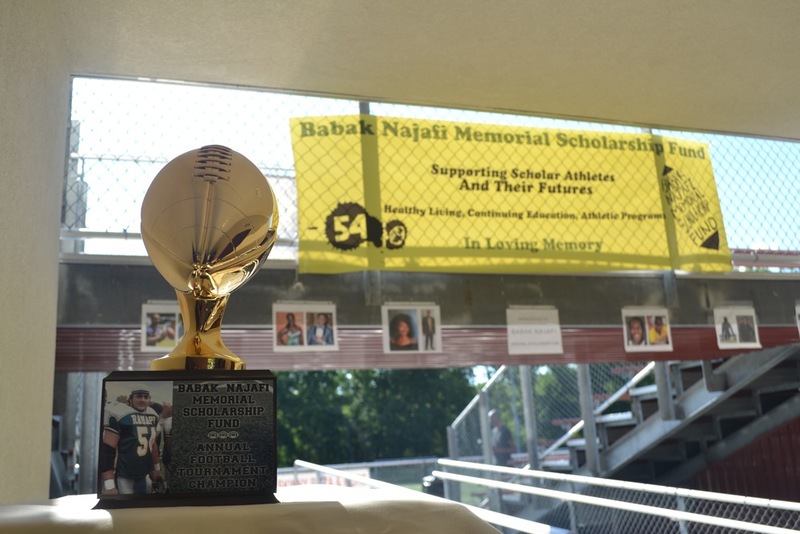 The Babak Najafi Memorial Scholarship Fund helps deserving students achieve success at a four year college or university, as well as the Ramapo Football and Wrestling Teams. This year’s scholarship recipient was David Mam (Pace University, BS Biology 2011). Congrats! 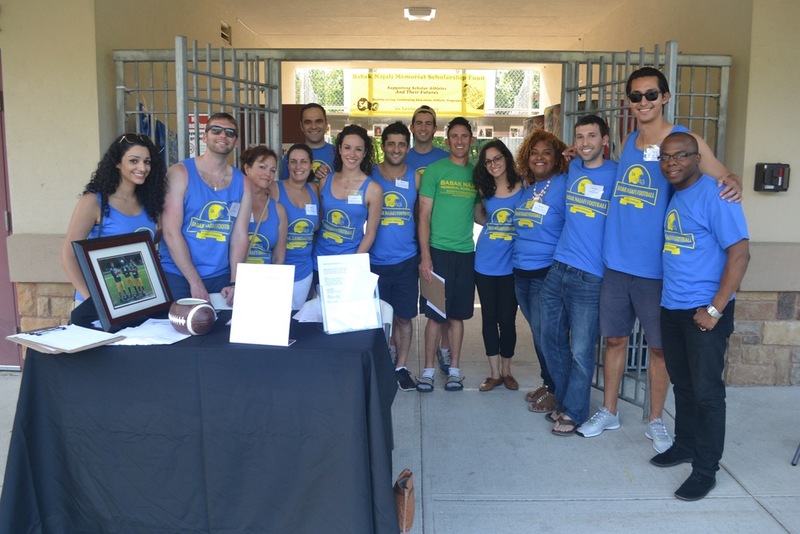 The first annual Babak Najafi Flag Football Game was a great success! The purpose of the game is to unite alumni and current Ramapo High School football players to celebrate the life of Babak Najafi. After the game, the winners of the Babak Najafi Memorial Scholarship are announced. All proceeds from the game are set towards future scholarship awards. 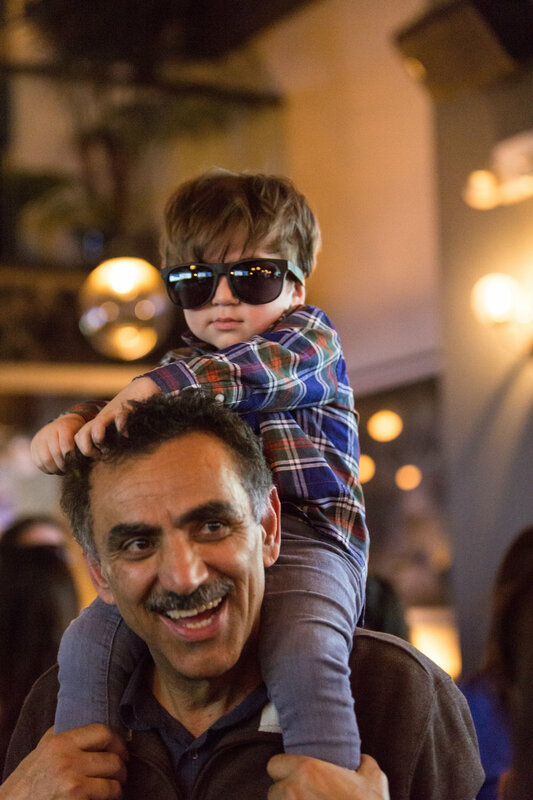 Our mission is to hold a one-day venue for the remembrance of a great life and to show Babak’s family how much we appreciate the boy they raised. 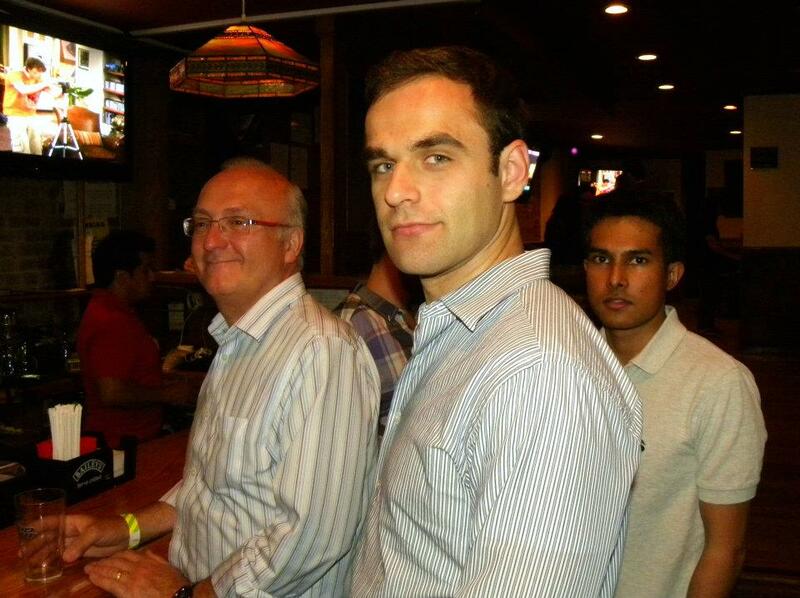 Babak truly had a positive influence on the lives of those that knew him. On the field action has consisted of four different teams competing in a single elimination tournament for the championship. We welcome all past, present, and future Gryphons along with any friends of Babak to play in the game. For anyone who is interested in supporting our cause, but cannot attend the game, there is a Paypal account through which we will accept donations. Congrats to Maxito Sainvil (William Patterson University, 2009) and McJeffrey Malivert (Monroe College, 2009) for being the scholarship recipients.